A picture taken on March 4, 2014 in Paris, shows scaffolding on the Hotel Sale where the Picasso Museum is located, during the renovation of the building, in Paris. The newly renovated Picasso Museum, scheduled to re-open to the public in June 2014, could be postponed until mid-September, according to the Culture ministry. AFP PHOTO / THOMAS SAMSON. 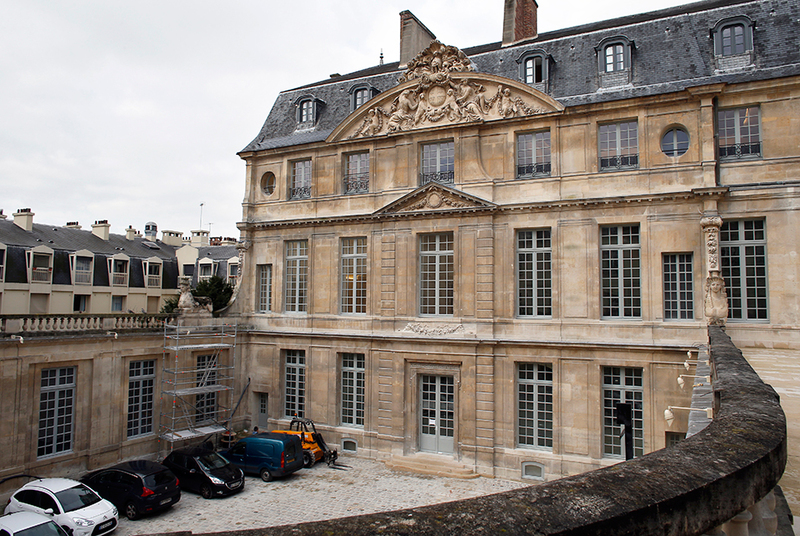 PARIS (AFP).- Five years after it closed for a two-year renovation, Paris’s Picasso museum — which houses one of the world’s most extensive collections of the Spanish master’s work — will finally reopen its doors in September, the culture ministry announced Sunday. The delay has caused controversy, with the painter’s son Claude Picasso on Friday accusing the French government of indifference and saying he was “scandalized and very worried” about the future of the museum. He asked the government to do its best to ensure that the establishment reopens in June, as announced earlier this year by the gallery’s president Anne Baldassari. Jean-Francois Bodin, the architect in charge of the renovation, had said on Saturday that the museum could still be reopened at the end of June as scheduled. Culture Minister Aurelie Filipetti said in a statement that her ministry had decided to reopen the museum to the public in mid-September because the main renovations were only completed on April 30 and time was needed to finish the rest. She made an appeal “for everyone to overcome personal interests and show enthusiasm and calm to allow the project to be completed”. In the meantime, browse our Pablo Picasso collection here.